Forty years ago, President Jimmy Carter signed a law that literally changed the face of Appalachia. The Surface Mining Control and Reclamation Act of 1977 (SMCRA) was intended to replace a state-to-state patchwork of rules for strip-mining with a uniform federal standard. Four decades later, however, environmentalists say the law has fallen far short of its potential. Louise Dunlap, who co-founded the Environmental Policy Center in the early ’70s and was such an integral part of lobbying for SMCRA that Carter mentioned her in his speech at the signing ceremony. Kay was quick to say that the environmental impacts of mountaintop removal mining and other forms of strip mining might be worse without SMCRA, but added that the lack of enforcement by states has severely undercut the law's effectiveness. A federal investigation released in February, for example, found that West Virginia was lax in enforcement; a week later, Governor Jim Justice criticized state environmental regulators, not for failure to enforce federal laws but for dressing too casually. The mining industry sees it differently. The Office of Surface Mining Reclamation and Enforcement (OSMRE), the federal agency tasked with overseeing SMCRA, "has achieved a great deal in the past four decades – for the environment and reclamation of abandoned sites as well as for coal mining, employment and the economic well-being of coalfields," wrote Luke Popovich, spokesman for the National Mining Association, in an email. "But the distinguishing characteristic of this law has been the foresight Congress had in giving states primary authority over coal oversight and permitting. SMCRA is by design not a top-down, one-size-fits-all program. That’s in recognition of the plain fact that coal mining varies greatly with the great variety of the coal resource throughout the country–from the arid West to the Appalachian mountains," he added. 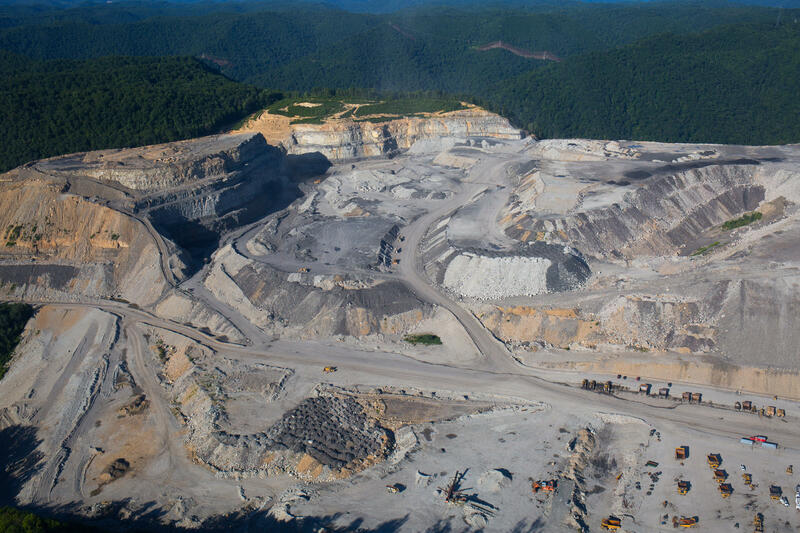 State enforcement—or lack thereof—coupled with the rise of large-scale mountaintop removal mining in the 1990s has changed the Appalachian landscape, and not just in a figurative sense, either. A 2016 study by researchers at Duke University found that mountaintop removal mining techniques had significantly changed the contours of southeastern West Virginia. Before mining, the area’s most common feature was steep slopes with a pitch of 28 degrees. Now, those slopes have been replaced by a new most common feature—a more or less flat plain with a 2-degree slope. Although economic developers have long decried the general absence of flat land in Appalachia that can attract industry, only a small percentage of reclaimed mining sites were put to use for business, Kay said. A 2010 study by Appalachian Voices and the Natural Resources Defense Council found that 366 of 410 reclaimed mountaintop removal sites, or 89.3 percent, had no post-mining development other than forestry or pasture. Even on the day he signed SMCRA into law, Carter expressed concern but also hope that the bill could be improved. Dunlap remembered that day as one of hope. A coalition of advocacy groups and coalfield communities had lobbied for nearly a decade to pass a federal law regulating strip mining. Twice, Congress had passed versions of SMCRA that were vetoed by Carter’s predecessor, Gerald Ford. As lawmakers developed a new version of the bill, Dunlap’s group worked closely with Pennsylvania, which had passed a restrictive strip-mining law but was receiving pushback from the coal industry. Dunlap said that advocacy groups also kept close communication with coalfield communities around the U.S., using airmail to send proposed amendments to activists, then receiving feedback over the phone. The improvements that Carter hoped for never really materialized. Take the stream buffer rule, first added in 1983 by the administration of Ronald Reagan. The rule was updated in 2008 under George W. Bush, but environmentalists saw the new version as even worse than the 1983 version, and it was ultimately overturned in court. The most recent iteration came late in Barack Obama’s second term, but wasn’t even implemented before Congress and President Donald Trump overturned it. Jay Rockefeller -- who lost the West Virginia's 1972 gubernatorial race partly due to a campaign pledge to ban strip-mining, reversed his stance and, after winning election four years later -- was one of several key elected officials who helped to stall SMCRA’s implementation and enforcement. As SMCRA remained largely stagnant, coal mining technology moved forward by leaps and bounds. The use of mountaintop removal techniques jumped sharply in the ’90s, mining coal on a scale that SMCRA’s authors likely never imagined. The result was places like the Hobet mine, a 12,000-acre mountaintop removal site in southern West Virginia that grew from a small, family-owned company to a corporate behemoth that saw two bankruptcies and now is the focus of a state-driven economic reclamation effort. The landscape-scale effects on the environment also changed communities. In places like Lindytown, residents whose families had dwelt there for generations sold their homes to coal companies rather than live so close to active strip-mining operations. “The 40th anniversary of the enactment of SMCRA is not a time of celebration of achievement, but rather, a somber reminder that after 40 years of implementation, and fully 60 or more years after grassroots efforts to see enacted a national program for controlling surface coal mining operations, the promises made by Congress to the people of the coalfields remain largely unkept,” said Tom FitzGerald, director of the Kentucky Resources Council, in the release. In contrast, Popovich said the NMA welcomes a renewed focus on state — not federal — enforcement. "In recent years we’ve lost sight of that distinguishing and very valuable characteristic of SMCRA and now appear to be recognizing it once again," wrote Popovich. "The law empowered the states; let’s let state agencies do their part Congress as Congress intended." Trump’s early actions indicate that he is unlikely to make SMCRA a priority. His administration’s budget proposal would cut $111 million in funding from OSMRE. The proposal includes eliminating the $89.9 million Abandoned Mine Land Economic Development Pilot program, which stands at the center of a fight over the related Revitalizing the Economy of Coal Communities by Leveraging Local Activities and Investing More (RECLAIM) Act. Congress so far has shown an unwillingness to incorporate Trump’s proposed cuts in their totality. With a budget battle looming in September and October -- as well as pending legislation such as the RECLAIM Act -- lawmakers will make decisions in coming months that will affect the shape of SMCRA, and its corresponding effect on the Appalachian landscape, into the future. A native of the Alleghany Highlands, Mason Adams (@MasonAtoms) is a contributing editor of 100 Days in Appalachia and has worked as a journalist in the Blue Ridge Mountains since 2001. He lives with his family plus dogs, cats, chickens and dairy goats in Floyd County, Virginia. NAS Committe Seeks to Answer Question: Does Living Near a Coal Mine Impact Human Health? If you live near a mining site – either old or active - is your health at risk? That’s what a committee from the National Academies of Sciences, Engineering & Medicine is trying to find out. 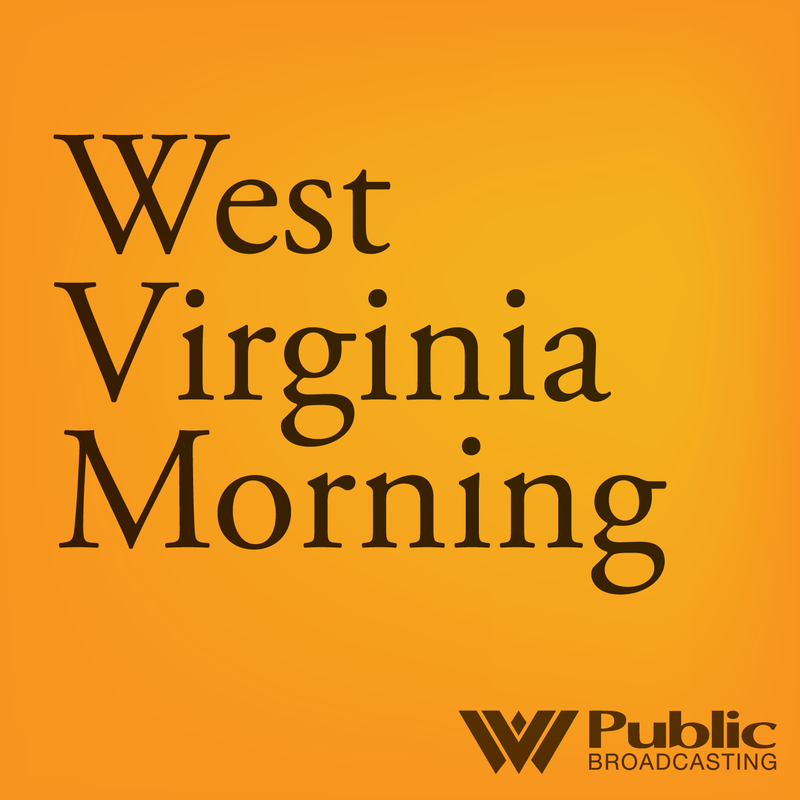 West Virginia environmental officials have ordered a new surface coal mining operation near Kanawha State Forest to halt mining. The stop-work order is from the Department of Environmental Protection. Inspectors issued an "imminent harm cessation order" when they found cracks in a barrier intended to contain runoff in a sediment-control ditch. It's also meant to prevent dirt and mud from the site from entering a nearby creek. 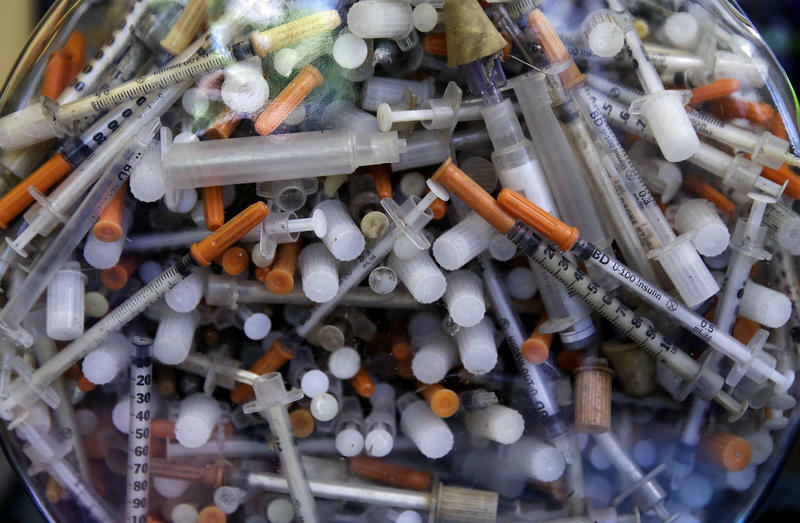 Reddit is a modern day canary in the coal mine for the people of Appalachia — a region of the United States being disproportionately affected by the opioid epidemic. Since the presidential election, Reddit’s r/opiates has transformed into a lifesaving map for people with addiction navigating a minefield frequently filled with fentanyl, a synthetic opioid nearly 100 times more potent than morphine. On this West Virginia Morning, over the weekend, Pres. Donald Trump will reach his 100 day mark in office. As a part of our series "100 Days in Appalachia," Beth Vorhees checks in with Dave Mistich, the managing editor of the project, about the stories they've shared in the first 100 days and what to expect in the future.